People generally do not pay much attention to dentists until it is too late. There are many people out there that are terrified of the idea of going to the dentists, and so, delay going to them until it is too late. During an injury, loss of a tooth or a toothache, one suddenly realizes that they need the dentist more than anything as soon as possible. But what should you do if the accident happens in the middle of the night? Emergency dentists are there for just that reason, to look after your teeth during odd hours. And if you’re thinking that you can simply wait until the morning to get to the nearest dental clinic, then you will be harming yourself. Dental emergencies are not something that you can overlook. A case of broken jaws, bleeding gums, and cracked/broken tooth require immediate attention. You do not want the area to get infected and make things much worse, now, do you? This is why emergency dentists are important and for those living in Independence, Missouri, they’re lucky to have some capable emergency dentists nearby. The hometown of Harry S. Truman, the American President, Independence has a population of around 117,000. A city in the state of Missouri, it is currently at the fourth position among the largest cities in Missouri. For a population as such, it is no wonder that emergency dentists are so prized, as the city has quite a huge population of children under the age of 18. And so, it goes without saying that such children will be more prone to dental accidents than adults. 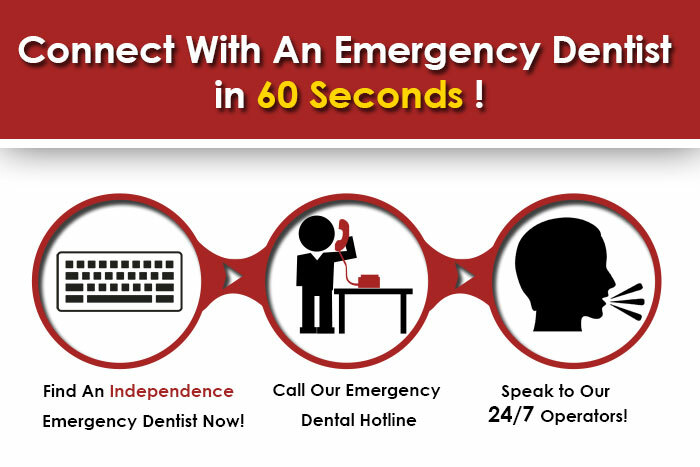 In times of severe emergency, one can always call 911, however, it is still a good idea to do some research and to have a few contact numbers of the nearest emergency dentists nearby. This dentistry, led by Dr. Robert Hanson, caters to the needs of an entire family. They provide a friendly atmosphere and even offer take home kits for times of emergencies. They offer many different services such as solutions for bridges and crowns, cosmetic bonding, dentures and partials, orthodontics, implant restorations, etc. In case of emergency, you can take the same day appointment and visit them right away! To book an appointment, call at 816-373-5606. Dr. Roberson and his team have been around for over 35 years, which means that they know exactly how to give you what you want. Not only does the clinic have a friendly atmosphere, but they also guarantee to fix your dental issues in no time. For emergency situations, simply contact them at 816-350-0808 to book an appointment. Yet another dentist that can cater to the needs of the whole family, Richard G. Mark is a dentist that has all the most updated technology. They handle a range of dental issues, such as teeth whitening, dental crowns, and cosmetic dentistry. Call them at (816) 461-3660 to make an appointment or when you have emergencies.